A rare representation of ethnic and religious diversity in early America, and an outstanding example of Peale’s late naturalistic style, the picture is distinguished by the direct and sympathetic encounter between the artist and his subject and the skilled rendering of the details of physiognomy and age. 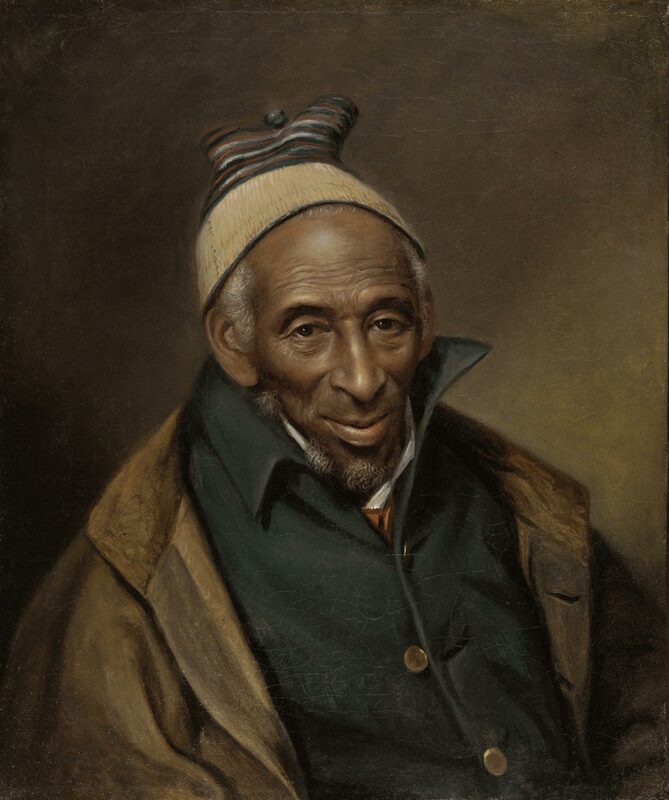 Yarrow’s knit cap suggests a kufi, a hat traditionally worn by African Muslim men to assert their religion or African identity, but Peale artfully employs its yellow band to highlight his steady gaze with its glint of humor and wisdom. Seventy-seven years old when he created this portrait, Peale was seeking a record of the personal traits that he believed supported a long life. In his writings and museum displays Peale celebrated making wise choices to maintain good health and a positive attitude, and he perceived Yarrow’s perseverance through his difficult life as a model of resourcefulness, industriousness, sobriety, and an unwillingness to become dispirited.